She looks fantastic, dxgirly! I love her freckles (I'm a sucker for dolls with freckles )! Gah! I thought I had typed my initial response to your custom anndd I didn't Imma dork. She's super cute Nikki! I adore the colors you chose purple and green are a favorite combo of mine. Where did you get the wig? I lloovveee it! Awww thanks merc!! Sorry, I forgot to look at the replies to my own thread. 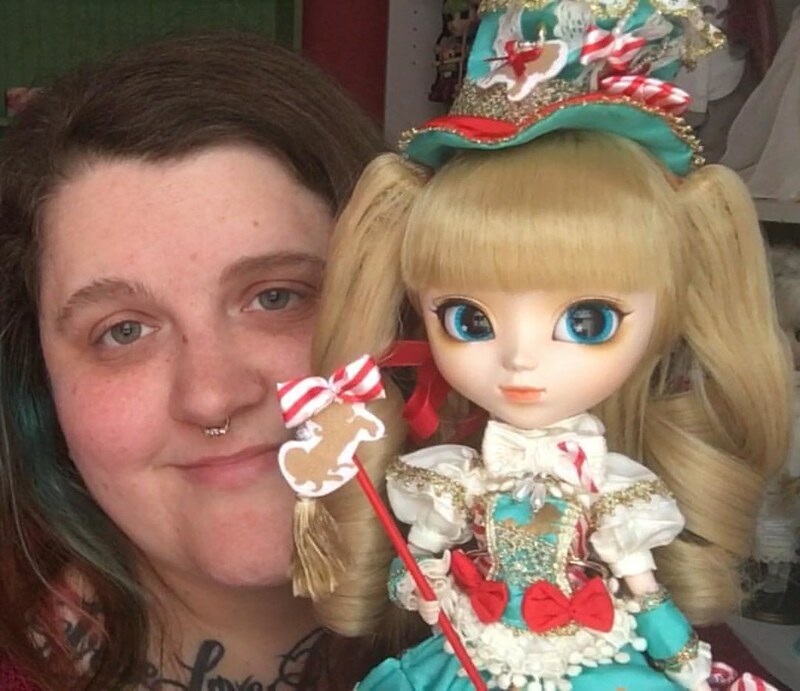 Opened up my new Pullips, Bonnie and Marie when they came in the mail the other day, so I thought I'd share some photos with you guys in case you don't follow me anywhere on social media. She's so adorable! Wait until you see her little bunny bum in the review that's coming on Wednesday! Marie looks so pretty... but then again I'm a sucker for Angelic Pretty's. Also, they should swap shoes, cause pink heels with fluff balls on looked much more Bonnie themed. 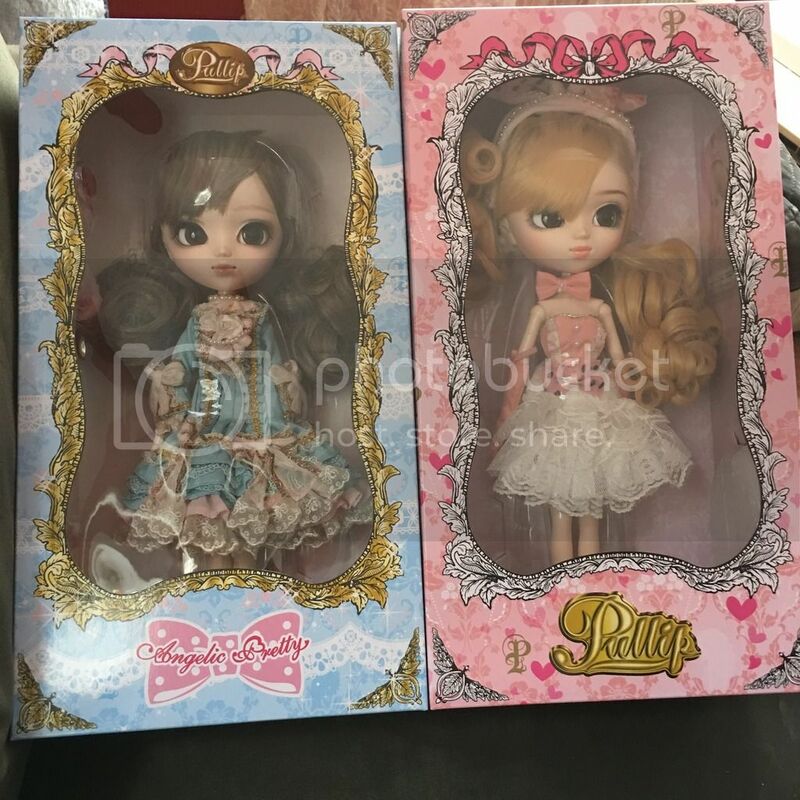 Both the new girls are so pretty! 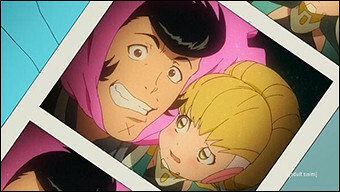 I wanted to upload a new picture, but of course photobucket.com isn't working for me again. Here are four girls I opened recently. 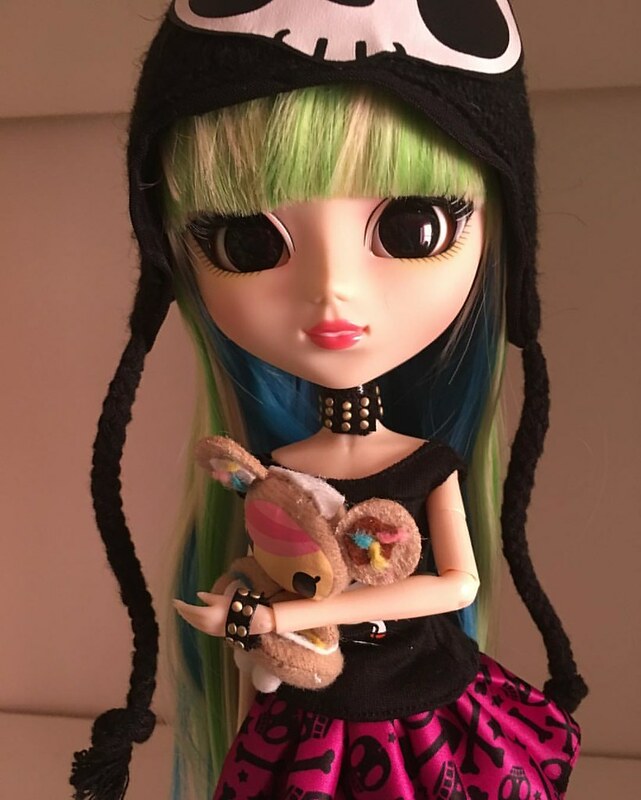 Luna and Lunarosa's reviews are up on my toy channel, Akemi's is coming tomorrow, and Naoko's will be next week. 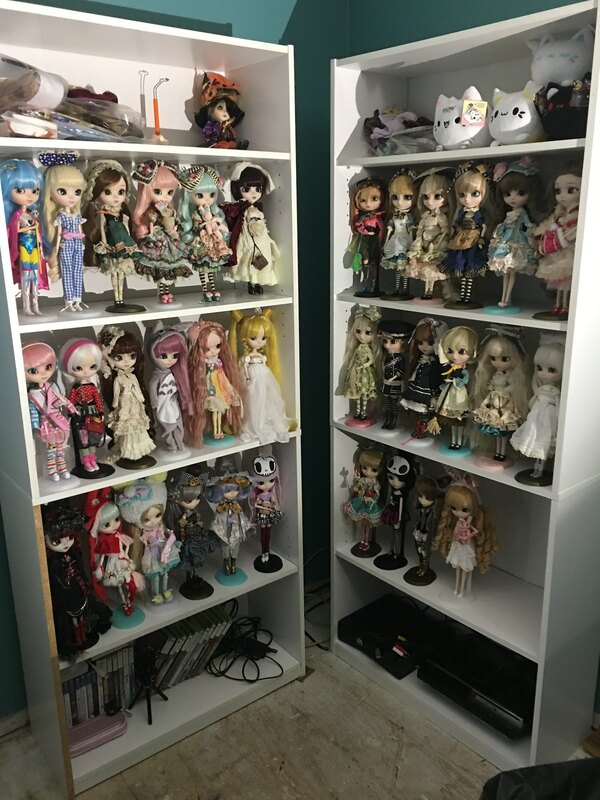 So, we've moved in with my parents temporarily, and they let me put my Pullips in a spare room on a few of my shelves. So happy to have them out of the boxes I packed them in, and see all of their beautiful faces again! 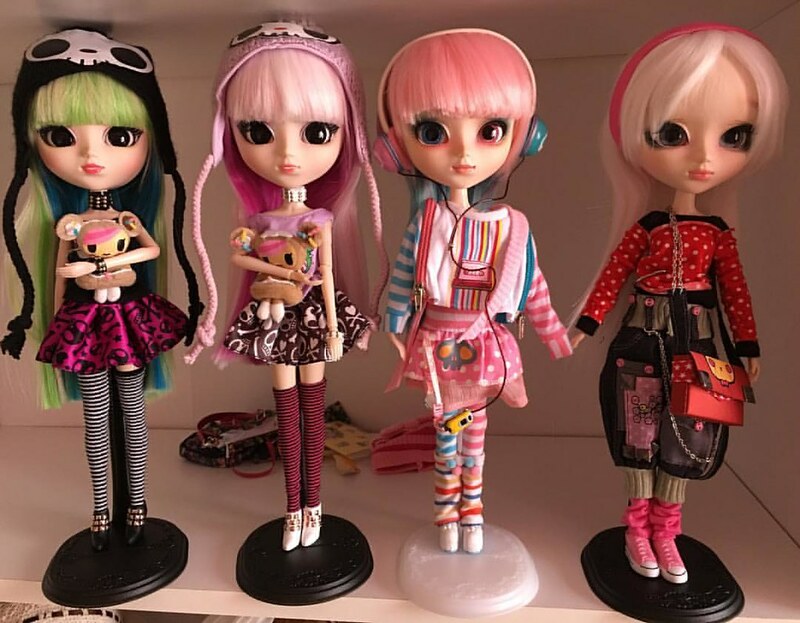 And here's all the dolls have left to review. 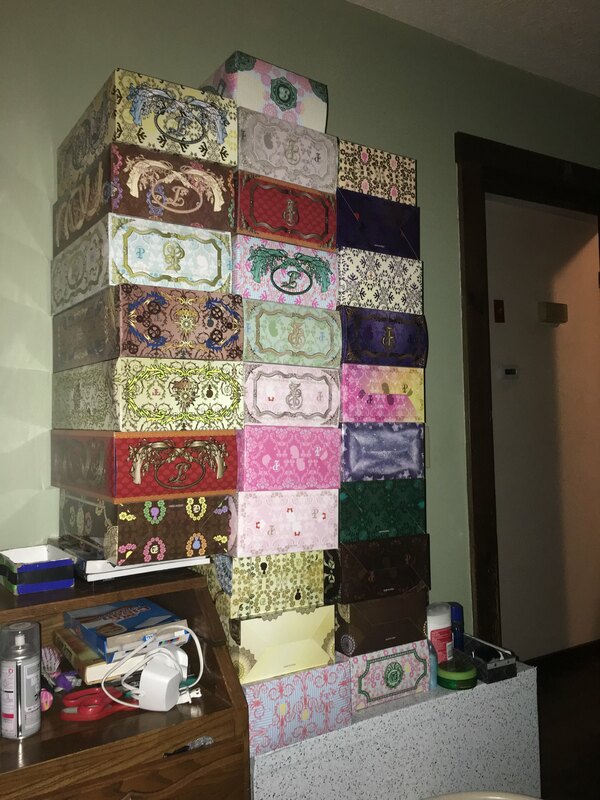 I'll be going on a dolly diet for a few months, starting January 1st, so we can pay off bills, and save to get our own place, so it's nice that at least have a lot of material to keep my channel going for a while. It's lovely to be able to get some of your dollies out even if it's only temporary It makes things a little more homey, I think. I totally agree on both points! We'll be staying 6 months or so, and I definitely didn't want them in storage for that long, especially since they're such expensive dolls. So I'm very happy that my parents let me have them here. 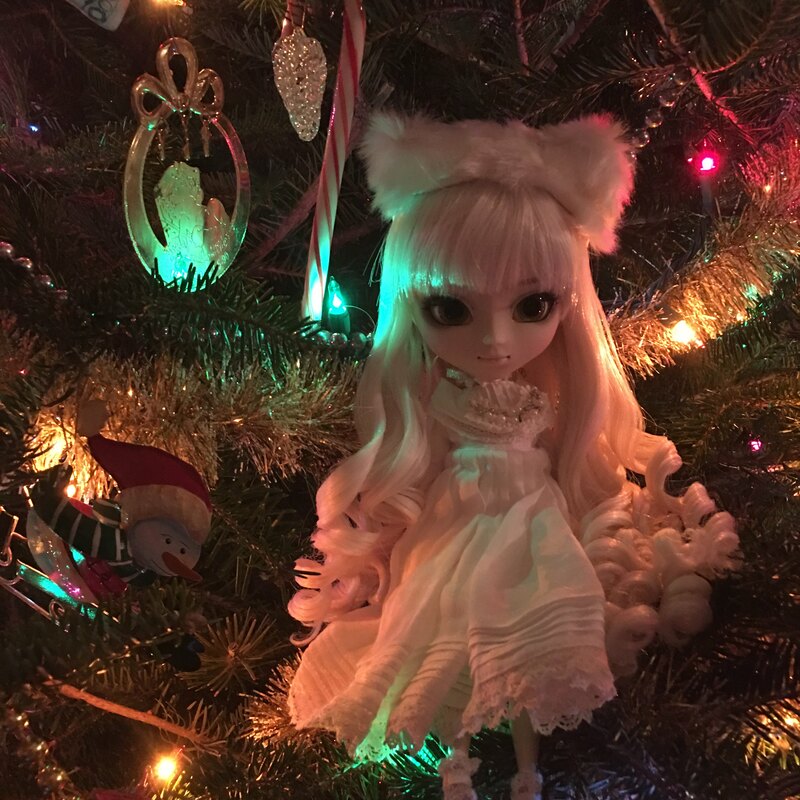 We decorated our Christmas tree today, and I couldn't resist taking a picture of Pullip Nanachan in it. So pretty!!! I adore that picture!